A great option for a Z series m-ITX! All the features you could want in terms of overclocking. I've been running 5Ghz stable but have dropped it until I de-lid the 7600K for a bit of temp headroom. USB 2 and 3 headers, lots of fan headers, great stability, wireless, bluetooth etc. Gigabyte did a great job in the GUI of the BIOS (like all previous Gigabyte BIOS). 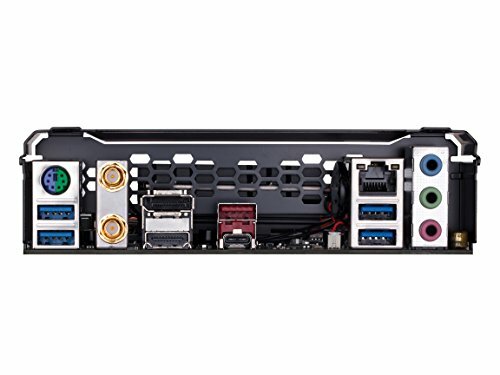 My only gripe with this board (it's enough to drop it 1 star) is the fact it does not have an Optical output on the backplate, which all motherboards in this range have and you would expect a gaming board to have. I have rigged up an optical output using the 2pin SPDIF on the board, and got a +5v source from a USB header to solve my problem. 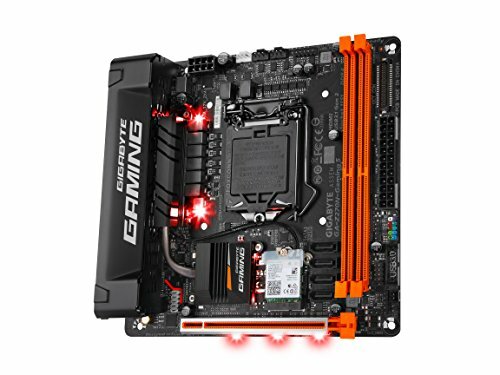 I like Gigabyte as a brand, as their BIOSes and build quality both tend to be a cut above. However, this motherboard has one very unexcusable issue, one that I've docked two stars for and that I even popped open my back panel and the hell that lurks underneath to show you. The lone M.2 slot, located on the rear of the board, is so close to the CPU cooler screw holes that even a marginally large backplate is likely to conflict with an M.2 SSD. Notably, the Asetek AIO backplate, which is shipped with the two most popular series of water coolers in the world (Corsair's Hydro and NZXT's Kraken), does this, which you can see in my photo. It is possible to use a large backplate and an M.2 SSD at the same time, as I've done, but the backplate will be applying force to the SSD, and I have a hunch that that can't be at all good for CPU temps or SSD longevity in the long term. If you are positive that you will not use an M.2 SSD, or that your CPU cooler's backplate will not conflict and you will not upgrade your CPU cooler, I heartily recommend this board. Its BIOS is pleasingly intuitive, it is built and laid out well, its LEDs are tasteful and easily customizable, its onboard audio is good, and it has robust power delivery and power delivery cooling. This rocks too. 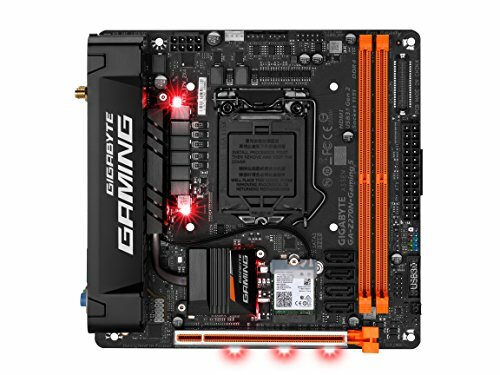 It controls the Phanteks Halos with the gigabyte rgb fusion and the board has WiFi and Bluetooth.